Advanced Water & Energy Solutions (AWES) is a management company organized by local and Midwest professionals to fully utilize the 25,000-square-foot wastewater pretreatment plant and biodigester energy generation system at 625 Chatham St. on the premises of Lowell Power & Light property in Lowell, Michigan. Provide clean processed organic material to local farmers as a soil conditioner. 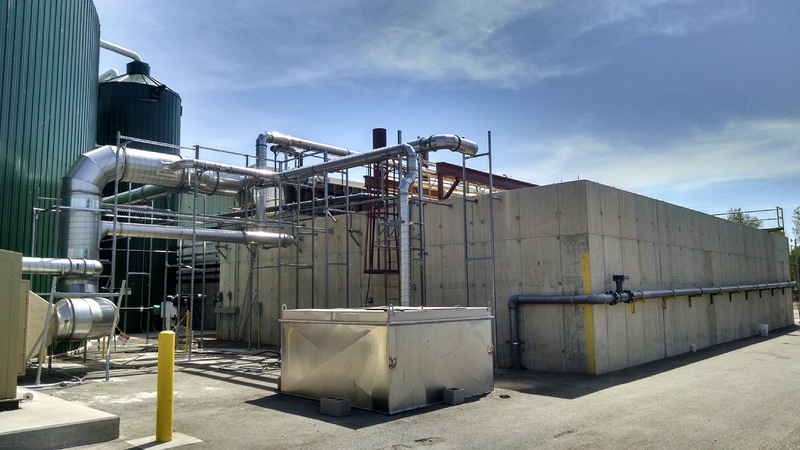 After opening in 2015, the facility experienced problems with handling the both the volume and composition of organic wastes to adequately control odor and process enough methane to operate the generators efficiently. From February 2016 to May, Veolia North America operated and maintained the plant. AWES is in the process of reworking the pretreatment side of the facility to process wastewater.